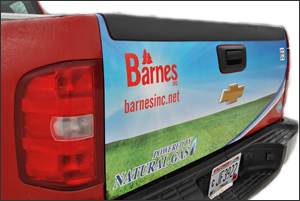 Barnes, Inc. was established in 1981 by Mark Barnes as a landscape maintenance and snow removal company. Since its inception, the company has grown into a full-service, year-round maintenance and construction service business, adding tree trimming and removal, fertilizer/weed control, holiday lighting, landscape construction and landscape design to its wide array of services. Barnes, Inc.'s staff of approximately 150 employees serves more than 1,000 customers in the Dane County, Wisconsin, with sales exceeding $9.5 million annually. Its clientele includes commercial, industrial, municipal, health care, utility and residential customers alike. Barnes, Inc. is a proud member of Wisconsin Clean Cities. To learn more about Barnes, visit barnesinc.net. Revenues: Avg. $8.5 million over last four years.